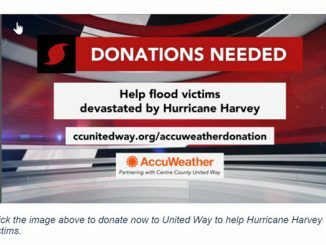 AccuWeather-(ENEWSPF)- AccuWeather reports the weather will be ideal for any outdoor activities across the northeastern United States through this weekend. Following a stormy and humid Thursday for parts of the mid-Atlantic and Northeast, drier air will settle over the region for several days. 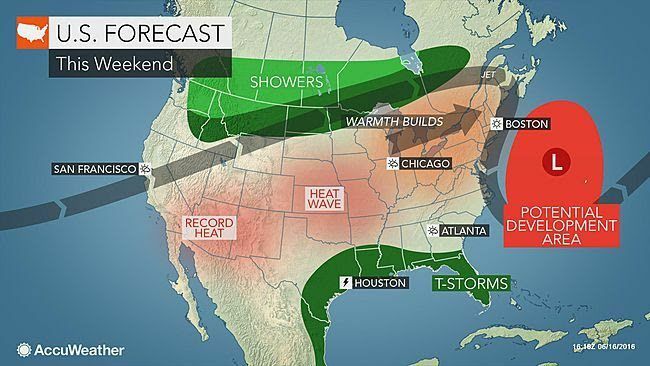 “A sprawling area of high pressure sitting over the Northeast will help to bring plenty of sunshine and keep the rain away for Father’s Day weekend,” according to AccuWeather Meteorologist Brian Thompson. Low humidity, warm air and abundant sunshine will set the stage for one of the nicest weekends in recent weeks. Shorts, sunglasses and sunscreen will be the name of the game for area residents. Thompson explained that despite the calendar nearing the end of June, humidity levels will be relatively comfortable for this time of year. Daytime temperatures in the low to mid-80s F will be common through Sunday. Coastal locations are forecast to stay in the 70s. Those heading to mid-Atlantic beaches should be aware of an enhanced threat for rough surf and rip currents as an Atlantic storm swirls off the coast. Despite plenty of sunshine, the low humidity will keep AccuWeather RealFeel® temperatures within a few degrees of the actual high. Weather-related disruptions should not be an issue for those with plans to camp, fish, golf or fire up the barbecue this Father’s Day weekend. MLB fans can enjoy afternoon and evening baseball games in Baltimore, Boston, New York City and Philadelphia without having to worry about weather delays. The weather will be ideal for the remainder of play at the 116th U.S. Open in Oakmont, Pennsylvania, after storms suspended the opening round on Thursday. 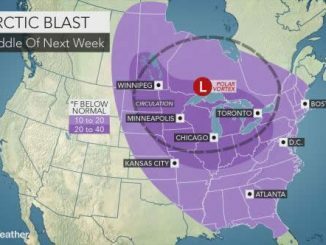 Dry weather is forecast to last into early next week, but temperatures and humidity levels will gradually rise ahead of an approaching system over the Great Lakes. As the system advances eastward, the threat for showers and thunderstorms is expected to return to the region on Tuesday.